Creating passive income – making money while you sleep – would be a dream come true for many. Wouldn’t you like to keep getting paid for work you do once? When most of us think about earning money, thoughts of trading our time for a salary at work is generally what comes to mind. The more hours we work, the more we get paid. But what if you could keep getting paid, long after the hard work is finished? Well, with Residual or Passive projects, as they’re also called, you can. Passive jobs allow you to earn money, essentially for doing nothing! Generally, you’ll need to put in a bit of work at the start. But once that is out of the way, you can sit back and watch the money come in. Passive jobs really are wonderful, and luckily enough, there are plenty of residual income opportunities out there. A residual income, which is often known as a passive income, refers to a situation where you continue to get paid, even after you’ve stopped working on a project. For example, if you spend a month writing a book, and then six months later you’re still making money from book sales, then you’re earning a residual income. It’s entirely different from a linear income, which directly correlates with the number of hours that you work. For example, with linear work, if you work 40 hours per week, then you get paid for those 40 hours of work. Residual income is the exact opposite of that. Essentially, you make your money passively – without doing a thing. You put in the work at the start and then you earn money residually from there on out. It is important to note that there are many levels of residual income when it comes to the amount of work you have to put in. For example, a true passive income source has you doing the work once but get paid over and over again. There are also semi-passive income sources where you sort of have to maintain the income source by working on it for a few hours a day/week/month. We’ll try to give you ideas that cover every level. You can make a residual income from doing a wide variety of tasks, from writing to shopping! So, regardless of your skill set or experience, you can find a project that fits you. The amount you can earn from passive opportunities really does vary. But, there is a real earning potential here. In fact, with many of the ideas below, you could make a full-time income. Below, we’ve given examples of how much you can earn for each opportunity, to give you a clearer idea of the money you can make residually. Earning Passive Income requires work too! Before we get to the list, let me rant a little about this crazy notion some people have that earning passive income means you don’t have to do any work. No matter how you make money, there is always work involved. Money doesn’t just fall into your lap. You have to work for it. Sure, there are some methods that require little work, but it still is work. To me, passive income is an earning method that doesn’t require a lot of work. It usually requires some initial work and set up, and after that, it is mostly maintenance and keeping things on track kind of work, but it is still work. With that in mind, the following methods are as close as you can get to truly passive income ideas. As we mentioned above, there are dozens of ways you can make money residually. Below, we’ve put together a list of some of the best residual/passive income opportunities out there. 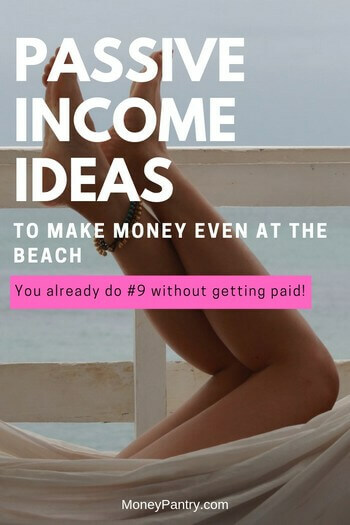 And, the best part about these residual income ideas is that you can do most of them from the comfort of your own home! With some of these ideas, you put in a little work or money upfront and then you continue to get paid long after. With others, you get paid for doing things you already do, like browsing the internet or shopping online. You’ll also find a few ideas for creating income with no money. So if you ever asked yourself “how to create passive income with no money“, you’ll enjoy this post even more. Let’s start with one that although has limited earning potential, is the perfect example of what a true passive income source looks like – do the work once, get paid indefinitely. It’s safe to say most households own a computer or laptop these days. But did you know you can actually earn a little extra cash by simply truing your computer on? As crazy as it sounds, it is something real. There are companies out there that will pay you. Essentially you’ll share the processing power of your computer (in a safe and reliable way) and get paid for doing so. You won’t make a lot of money (more like a few bucks here and there), but you’re not doing anything either. All you have to do is download a small software that works in the background without affecting the quality or speed of your internet. Every one of these sites/companies has a very responsive support system that is ready to help with any issues that may come up. All you have to do is visit a few sites, sign up for their program and install their software/app on your computer. Gomez PEER is another very popular distributed computing company for home users – They have over 150,000 households as members who are making money by sharing their computer’s resources. Simply download the software and start earning money from your computer’s power immediately. As mentioned, this is not going to make you a lot of money. Each of these companies has a different payout. You can expect anywhere from $0.10 and $0.40 per hour, depending on the provider and service. So, yeah, it’s literally pennies, but you’re not doing anything at all besides the initial sign up and software download which takes less than a minute. Investing in dividend stocks is a tried and tested way to make a passive income. You have to put in a little money upfront, and there’s no guarantee that your stocks will make you any cash, but, if they do, then it can be one of the most profitable ventures out there. Companies reward shareholders with dividends in the form of a cash payment at regular intervals, often quarterly. They do this to reward shareholders for owning the stock. This is a passive income idea that requires a lot of research upfront. Research is the key to finding companies that could be worth investing in. Dividend.com is a great resource. It includes a lot of information on investing and also has a list of investment opportunities. You have to join the site to view this list, but it’s free to do. You should also check out the S&P 500 Dividend Aristocrats list. It features companies that have increased their dividend payouts for 25 consecutive years. Investopedia also has a lot of useful articles on how to get started with dividends. So, you should check that out – this article and this article are particularly useful. There are a few online brokerage platforms out there, like Fidelity and TD Ameritrade that offer low cost investing options. How much you can earn depends on a few factors, like how many shares you own, and how much the company’s dividends are. Let’s say that you purchase 50 shares of a company’s stock at $50 per share – so, in total, you invest $2,500. During the first year that you own the stock, the company pays you one 2.5% dividend. This earns you $62.50 in dividend income. The dividend yield varies from company to company, so this will affect your income. Making a large amount of money from stocks requires you to consistently invest money into dividend stocks and wait for them to pay out over time. The more money you have to invest, the more likely you are to receive large dividend checks. Remember that investing takes research and you should only invest an amount that’s right for your financial situation. Apps are pretty popular, meaning you could make a nice profit from selling one of your own. There are so many different types of apps you can sell, like productivity apps, fitness apps, game apps, or even apps that pay you to various tasks. You could create an app yourself, if you have the technical skills, or you can hire someone to do it for you. Fortunately, there are people out there that you can pay to create your app for you. Take a look on UpWork.com for freelance app developers. Clutch.co has a handy list of app developers, which includes reviews and how much each one charges per hour. So you should definitely check that out if you’re going to hire someone to develop an app for you. To decide on what type of app to create, take a look at a niche you’re interested and see if you feel there are any gaps in the market. Or see if there are any existing apps that you like, but think could be improved, then create something similar that offers more. Creating an app is one of those residual income opportunities that require either a lot of time, if you’re building the app yourself, or money if you’re hiring someone else to build the app, upfront. Once you’ve developed the app, however, you put it up for sale in the app store, and then wait for people to buy it. Creating an app is like any investment opportunity – it’s not guaranteed to make a profit. Not all apps sell well, but many do. You could make anywhere from hundreds to thousands of dollars each month from selling apps. 25% of developers in the iOS store earn over $5,000 per month. And there are some huge success stories out there – Clash of Clans, for example makes $168,000 revenue per day! Of course, that’s a hugely popular app, and most people won’t see that level of monetary success, but, it still gives you a good indication of how much apps can potentially make. Investing in real estate can be an incredibly profitable venture. And, it doesn’t require as much work as you’d think if you outsource typical landlord tasks. Put in a little money, time and effort at the start, and then sit back and watch the money roll in afterward. There are a few ways that you can invest in real estate. One of the most common is to purchase a property, and then rent it out. Each month, you can earn hundreds or even thousands of dollars from renting out a property – and it’s all passive. Landlords do, of course, have a few responsibilities. So, if you don’t want to do any work at all, then you could hire a property management company to handle tasks, like collecting rent and handling maintenance and repair issues. When you buy a property to rent it out, but you have a mortgage, then you have to inform your mortgage lender. In this case, your tenants essentially pay off your mortgage for you, and then after some time, you own the property outright. Another option, if you’re short on cash is to invest in crowdfunded real estate. Not only does it require less of your cash up front, but it’s also a little easier than having a rental property. So, if you’re just starting out as a real estate investor it can be a good option. A good crowdfunding platform for real estate is Fundrise. It’s an online real estate investment platform that gives you a low-cost way to invest in the private market real estate. With Fundrise, you can invest as little as $500. Investing in real estate can be very profitable. But, again, it depends on how much rent you get each month and, of course, whether you have invested in the property yourself, or through a crowdfunding platform, like Fundrise. A person on this Quora post states that through Fundrise, they’ve made $123.16 on a $1,000 base. On the other hand, if you have a rental property, then you could earn hundreds of dollars each month. If you have a rental property, and you don’t have a mortgage on that property, then you’ll get to keep all of that cash. But if you have a mortgage, then that’s going to lower your net profit. Like most people, you probably visit blogs when you browse the internet. But, did you know that a blog can actually be an excellent source of residual income? There are dozens of bloggers out there making a full-time income from their blogs. All you need to do is choose a topic, create a website and then start publishing articles. A topic: Your blog should focus on one particular subject. But it can be a broad topic, like dieting, gardening, or fashion. A domain and hosting provider: You’ll need to purchase a domain name, this is your URL, and pay for a hosting provider. There are many hosting providers out there, like Bluehost for example. As the name suggests, hosting companies “host” your website online. Once you’re up and running, you’ll need to monetize your blog. After all, blogging itself, i.e. publishing articles, doesn’t pay. Add affiliate links to your posts. Write sponsored content – work with brands and companies who pay you to write content for them. Place ads on your website. Joining an ad network or program, like Google Adsense is a good idea. Each time a visitor to your site views or clicks on an ad, you earn money. We’ve written a guide on how to monetize a blog, which covers the best ways to make money through your blog, and tells you exactly how to implement each idea on your site. So we implore you to take a look at that article, as it gives you a step by step guide on how to make money from blogging. The amount that you can earn from blogging varies. Blogging can net you anywhere from $100 to over $300,000 per month and more. JustAGirlandHerBlog.com earned $51,803 during October 2016. ThisOutNumberedMama.com earned $1449.33 from June to August 2016. EmbracingSimpleBlog.com earned $2,415 in January 2016. ArtsandClassy.com made $5,008.58 in July 2017. How much or how little you earn depends on things like what methods of monetization you use, such as putting ads on your website or writing sponsored content, and, of course, how much traffic you get. If you only get a few visitors, most of the money-making methods in blogging won’t net you much. For example, if you are only getting a few visitors per day, then the ads you put on your site won’t get many views or clicks, meaning you won’t make much money. Similarly, if your site doesn’t get much traffic, then you’re unlikely to get sponsorship opportunities from brands. NielPatel.com and Moz.com are both great resources for information on building web traffic. This is one of those residual income opportunities that requires a lot of work upfront. But, what’s great about having a blog is that articles you published weeks or even years ago will continue to make you money – if they’re monetized with ads and affiliate links of course. Selling photographs is a really great way to earn money residually. You can take a photograph, put it up for sale online, and then get paid each time someone downloads it. That’s it – it’s so simple. And, you don’t even need to set up your own website to sell them. There are dozens of platforms out there that you can sell your photos through. These platforms, generally stock photo websites, bring together photographers and people who are looking to purchase photos. These websites handle everything for you. So all you have to do is upload your photos and set your price. All you need to make money selling your photographs is a camera – even your smartphone camera will do. And, obviously, you need to be able to take a decent photo! As we mentioned above, there are a lot of websites that pay you for your photos. Once you find a platform you want to sell through, simply upload your photos. It can be a good idea at the start to build up a bit of traffic to your photos, but this isn’t necessarily a must. Like with most residual money-making opportunities, the amount you earn varies. Obviously, what percentage of commission you get is a big factor in your overall income, as is the price you set for your photos. For example, with iStockPhoto, the commission rate ranges from 15% to 45% and generally, you can earn between $1 and $20 per image. With 500px, for example, you can earn between $34 and $249 per image. With DreamsTime, you can get from $1 to $40 per image and royalties are around 25% to 50%. With some websites you can earn $100 plus, with others you only earn a dollar per photo. But, some sites that pay less are less stringent about the photos they accept. This means that if you’re a beginner, they’re a good starting point. Also, how many people actually purchase your photos is important for your income. If you don’t get any traffic to your photos, then no one is going to purchase them. Selling stock pictures is one of the best residual income jobs out there, as anyone with a camera can do it. Peer to peer lending is when you loan money to a person that couldn’t qualify for traditional financing. It’s a great way to earn interest on your money. There are many peer-to-peer lending platforms out there, but one of the best is the Lending Club. What’s great about the Lending Club is that you can choose how much to lend and how many loans you want to offer. Ideally, you want to invest in a number of small loans, rather than one large one. This makes the whole process less risky as if one loan goes bad, you won’t lose a ton of money. For example, if you have $2,500 to invest, offer 100 loans, each worth $25. This residual business idea is not for the faint of heart. Like any investment, it involves risk. But, it can also be highly rewarding. Generally, you’ll see returns of between 5% and 9%, which is much higher than many other methods of generating interest, like opening up a savings account. Decades ago, if you wanted to become an author, you had to get an agent and a publisher to even consider your book. This was a difficult task and many authors, even great ones, had their book ideas rejected. Fortunately, things have changed, and anyone, regardless of their experience, can become a best-selling author. Thanks to self-publishing platforms like Amazon Kindle, you can publish your own book and make a profit from it long after. With Amazon Kindle Publishing Direct (KDP), you can self-publish eBooks and paperbacks. This is one of the best residual income ideas on this list – you can do it on your own time, there’s little to no money required to get started and, best of all, it can be very profitable. First of all, you’ll need an Amazon.com account and, of course, a good idea for a book! Fiction is incredibly popular on Amazon, with many of Amazon.com’s bestselling products being books. Whether it’s a psychological thriller or a historical drama, fiction novels are super popular on Amazon. An article published on Business Insider, which was created in conjunction with Amazon itself, listed the most popular/commonly purchased items on Amazon during 2016. And, amazingly, many of the top twenty products were indeed fiction books. As Amazon is one of the most popular retailers in the USA, the UK, and many other countries, it means that there are a lot of people buying books! While fiction is definitely popular and profitable, it’s not necessarily easy to create a fiction novel. You need a good story, the ability to tell that story to the reader in an interesting and engaging way, and, of course, you need to know how to write fiction prose, which, unfortunately, not everyone can master. But if you do think that you could write a fiction book, then you should definitely give it a try. There are tons of genres you could write a book for, from romance to thriller, both of which happen to be pretty popular with Kindle Readers. And, there are plenty of websites and books out there that teach you how to write a fiction novel. So if you’ve never written one before, you might want to check out some of those. There’s a great article from Copyblogger, called 10 Terrific Creative Writing Blogs. This post features a list of good blogs for creative writers. Plot and Structure: Techniques and Exercises for Crafting a Plot That Grips Readers from Start to Finish by James Scott Bell. Writing Fiction for Dummies by Randy Ingermanson and Peter Economy. Outlining Your Novel: Map Your Way to Success by K. M. Weiland. Non-fiction books are also incredibly popular on Kindle. Non-fiction books usually teach people about something, like how to use Photoshop, how to be more confident, or how to lose weight, for example. Creating a non-fiction book tends to be quicker and a little easier than writing a fiction book, especially if you’re already knowledgeable about the subject you want to write about. There are tons of subjects you could write about and niches within those subjects too. Fitness, then you could write about weights. Blogging, then you could create a beginners guide for WordPress. Crafts, then you could write a book of DIY ideas for the holidays. Productivity, then you could write about how to better schedule your time. This article from CreativePenn.com is useful for first time non-fiction authors, so check it out. Once you’ve written your book, you’ll need to make sure that it meets formatting requirements. Amazon has tons of resources on how to format, layout and prepare an eBook or paperback for publishing – check out this section and this one for helpful guides. Once you have a book that meet Amazon’s content and quality guidelines, it’s time to publish. Go to the KDP website and sign in to your Amazon account. Go to your Bookshelf and click on “Create a New Title”. After you’ve uploaded your file and have entered all of the required details, hit publish. Your eBook should be up for sale within 24 to 48 hours. This is definitely one of the best residual Income ideas on this list, especially when it comes to earning potential. I published a Kindle book a few years back and it stills earns me money every month. I worked a few months on writing the book, but once I published it, that was it. I didn’t have to do anything else. I did minimal promotions, but it still sells an average of 5-10 copies a day. If you’re interested in the book you can get it on Amazon for $2.99. What’s great about Kindle Direct Publishing, and what makes it a far more worthwhile avenue for authors than traditional publishing houses, is that the royalties that you get are far higher. You can earn either 35% or 70% royalties – and the best part is that you get to decide! Royalty rates on offer from traditional publishing houses are substantially less than that! Typically, authors get 8 to 15% royalties when they work with a traditional publisher. Sometimes an author might get paid a certain dollar amount per book sold, like $1.25 or $3, regardless of the price of the book. One author states in an article published on Forbes.com, that with the 15% royalty, he made as much on a $9.99 eBook as he would have on a $34.96 paperback. Customers are far more likely to purchase a book that costs $9.99, over one that costs $34.96, meaning that you make more sales and get a higher commission. As you can earn up to 70% royalties on Amazon.com, if you consistently sell books you could earn yourself a full-time income passively! Mark Dawson: This author, known for his crime thriller series, earns $450,000 per year through Amazon Kindle Publishing. You can read more about his experience as a self-published author here. Louise Ross: This author self-published a crime novel that’s made her £70,000 ($92,458 at the time of writing) in less than a year! How much you make will depend on how many copies you sell, the price you set, and of course what royalty percentage you choose. Let’s say for example, that you sell a book for $5.30 and you chose to get 70% in royalties. If you sold just five copies per day, you’d make around $556 in a month (30 days)! That’s just one book selling five copies per day. If you had two books selling for that amount, then you’d make over $1,100 each month. Double that again and you make $2,200 per month selling just four books! Above, we mentioned that with certain credit cards, you can get cashback every time you shop. But, that’s not the only way to earn cashback on your purchases. You can also get cashback if you shop through a cashback website. With these websites, when you shop at stores through them, you get paid cashback. That’s it – it’s really simple. If you’re one of the eight-in-ten Americans that shops online, then this is such a good way to make money. After all, you get paid for doing something that you already do anyway. You might wonder – why would a website pay you to shop? Well, it’s simple really. These websites, which we discuss in more detail below, act as a shopping portal. You browse stores and make purchases from your favorite retailers, while logged into one of these shopping portals. These websites partner with popular brands, service providers, and retailers, like Macy’s and Target, sending paying customers their way. And, in return, these partners pay the shopping portal website commission, which they share with you, the user. This really is one of the simplest residual income opportunities out there. All you need to do to get started is begin shopping through a cashback website. Fortunately, there are tons of websites out there that give you cashback when you shop. One of the most well-known cashback websites is Ebates. Featuring more than 2,000 retailers and popular brands, like Walmart, Starbucks, and Amazon, it’s easy to find stores that you actually shop at on Ebates. And, there are also in-store cashback offers available too. Plus, there’s a sign up bonus on offer at the time of writing. With cashback rates of up to 40%, it’s one of the best cashback platforms out there. Browse offers from your desktop PC here. Featuring more than 2,500 stores, Mr. 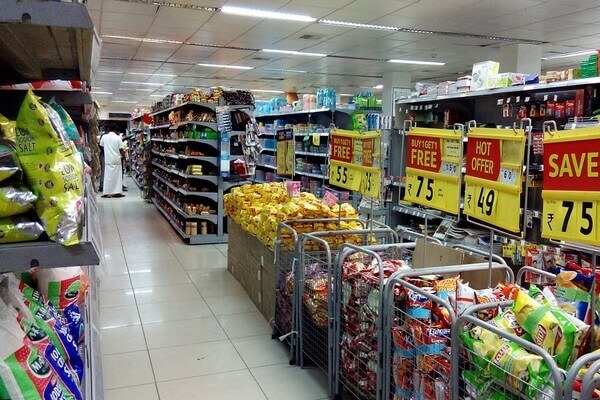 Rebates is another excellent shopping portal for cashback. It’s one of the oldest rebate apps out there, offering comparatively high cashback rates. Many rebate apps average 2 to 4% cashback, whereas you often see 8% to 10% cashback offers from Mr. Rebates. There are tons of popular brands and stores available to shop at on there, like Dell, Walmart, Nike, Hotels.com and Nieman Marcus. The threshold you need to reach to withdraw money is really low too – set at just $10. So you get your cash quickly. Shop through Mr. Rebates on your desktop computer here. Another good website you should check out is Pennyful. It’s another long-established cashback platform, offering a great range of stores to shop at. At Pennyful, there are more than 1,300 stores featured, like Sears, Kmart, and Nordstrom. Cashback rates on offer vary significantly, from 2% to more than 30%. Shop through Pennyful on your desktop PC here. For high cashback rates and a wide range of stores, a platform that you should definitely visit is TopCashBack. It’s a shopping portal, featuring thousands of retailers and brands, like Hotels.com, Expedia, and Amazon. Its average cashback rates tend to be higher than those on offer from other similar platforms. Interestingly, TopCashBack also offers additional deals and discounts, in addition to its regular cashback offers, like this deal for Hotels.com – “save up to 50% + an extra 10% with our exclusive code + cashback”. How often you shop online. The cashback percentage that you get. If you frequently shop online, and spend a lot when you do, and you get 10%+ cashback, then you could get yourself a nice amount of cashback each month. Comparatively, if you only shop online occasionally, and you don’t tend to spend much, then the amount of cashback you get is going to be much lower. One person in this Reddit post, states that they have earned $200 from TopCashBack, just for shopping. Another person in this Reddit post states that they have made hundreds through Mr. Rebates. Cashback websites definitely have potential. The potential for income with this passive income idea isn’t as high as what you could potentially make with some of the other opportunities on this list, like becoming an author for example. But, it requires absolutely no work and gives you money for something that you already do. Do you have a spare room in your house or apartment? If so, then you could make a lot of money renting it out. It’s easier than ever now to do this as well, thanks to platforms like Airbnb. Airbnb is a website that brings together homeowners looking to rent out their property, and people who want to rent a place, instead of staying at a regular hotel. You can make a lot of money just renting out one room in your home. Or you can choose to rent out your entire place! If you go away on business often and have your home just there sitting empty, then you could rent it to someone on Airbnb, and make a profit while you’re away. Or, next time you go on vacation, pay for a portion of your trip, or the whole thing, by renting out your home. If you want to rent out a place on Airbnb, then you’ll need to create an account with the website first. Once you’ve done that, you need to create a listing for your property. You can choose to list it as a private room or an entire house/apartment. It’s completely free to place a listing on the platform. After you’ve listed your property, people can request to book a stay. You can then accept or decline this request. If you accept it, the guest is charged before arrival. You receive payment automatically after check-in. There is a 3% service fee. Then the guest comes to stay at your place on the scheduled dates. With Airbnb how much you earn depends on the price you set per night for your property. Handily enough, Airbnb gives you a weekly average for what you can earn in your area. To get this estimate, go the Become a Host section of Airbnb, and select the location of your property. This isn’t an exact amount – it’s just an average, but it can give you some idea of what you could potentially earn as a host. Another thing that we definitely recommend that you do is take a look at other people’s listings in your area. Look for similar properties, and see how much hosts are charging for them. Then, you can set your prices accordingly. You can potentially have more success if you offer something a little extra in your listing, like a discount for longer bookings, breakfast or a free guided tour of your neighborhood. Handily enough Airbnb has a Smart Pricing feature. If you enable this feature, then the price of your listing will automatically decrease or increase based on the demand for listings like yours. It’s controlled by settings that you can change at any time. T-shirts, mugs, and pens with designs or photos on them are pretty popular online. And you can tap into this market by designing some of your own. If you have a few design skills, then you might want to give it a try. There are plenty of platforms out there that handle the selling for you. All you need to do is create your designs, put your custom-designed merchandise up for sale and you earn an income. Of course, this option requires some artistic/design skills. So if you know how to use programs like Adobe Illustrator, then you’ll definitely have an advantage here. Or, if you enjoy taking photographs, then this is another way to make money from your images. A lot of these sites allow you to upload your own photos and then sell your images on a variety of different merchandise, like t-shirts, phone cases, greeting cards, and throw pillows. If you want to make money selling products with your designs or images on them, like t-shirts and mugs, then you need to set up an online store. You could do this yourself – by setting up your own website. But, you’ll have to generate your own traffic to get people to it. An easier option is to sell your stuff through a website that caters to designers. There are many of these marketplaces out there. With most of these websites, you set up your own store, and the site handles things, like payments and customer service for you. But, best of all, these websites fulfill the orders for you – so they handle printing your products. Here are a few to look at if you’re looking to sell more than just t-shirts. Like with many residual income businesses, it’s difficult to say exactly how much you can earn selling custom merchandise. Of course, the biggest factor is how much you charge for your products. And, another big factor is the fees for printing and other services offered by the websites above. If you think that selling t-shirts and other merchandise could be for you, then check out our post on 21 Places You Can Make and Sell Custom T-shirts Online. It’s a good resource that provides more information on pricing and commission and also how these types of platforms work. Whether it’s to research your next vacation, find a recipe for dinner or to look for a new TV, searching for stuff online is now an everyday occurrence. According to research, the average adult spends around 20 hours per week online. That’s a lot of time spent surfing the web! So, wouldn’t it be great if we could make some money out of it? There are companies, brands and websites out there that pay you to browse the internet. This isn’t like some of the other income opportunities on this list, like writing books or selling stock photos, where you put in the work up front and then get paid long after the work is done. No, this one differs a bit. These companies pay you to do something that you already do anyway – so, like cashback websites and credit cards, this is a great passive income stream. With Microsoft Rewards, also known as Bing Rewards (which we reviewd here), you receive points when you use Bing and Microsoft Edge to browse the internet. Also, when you shop at the Microsoft and Windows store, you get points. You can redeem these points for rewards, such as games, music and gift cards. It has a desktop version, but you can also get it for Android devices and iOS devices. Swagbucks is a rewards site offering a multitude of ways for you to earn cash passively. One of the ways that you can earn cash and gift cards with Swagbucks is by searching the internet. This is another site like Swagbucks that pays you for doing things you’re probably already doing anyway, like browsing the internet and playing online games. With Inbox Dollars, which is called Inbox Pounds in the UK, you earn cash, rather than points, like you usually do with these types of websites. Make sure you check out our Get Paid to Search: 13 Sites That’ll Pay You to Search the Web post. This covers, even more, websites that pay you to browse the internet. Searching the internet isn’t going to make you rich or even replace your income like some of the other opportunities on this list. If you’re looking to make a decent income, then doing something like publishing a book on Kindle or investing in real estate is a better option. Browsing the internet will, however, get you a little extra cash that you could spend when you next shop online, or on a coffee before work. If you’re knowledgeable about something, whether that’s making your own jewelry, gardening or WordPress, then consider selling a course about it online. There are websites out there where you can create and sell your own courses, on a wide range of topics. Your courses can contain articles, presentations, videos or a mix. The first step is to come up with a topic to create a course around. Preferably, it should be something that you already have knowledge of or are interested in. When you have a topic in mind, you need to choose a place to sell it. You don’t have to create your own website to sell through. Fortunately, there are tons of online learning platforms out there that bring together teachers and students. These platforms handle everything for you – and many of them have tools to help you to create your courses too. You simply upload your course and set your price, then the site’s users looking to learn can purchase your course. Be sure to check out our post on making money with Udemy for a more complete guide. This is another residual income business with a good earning potential. Some people make a full-time income selling their courses through sites like Udemy and Teachable. How much you make will depend on how much you sell your courses for, what fees or commission the site you sell through takes and, of course, how often your courses sell. Through Udemy, David Travis has earned $185,000 selling his online training courses. Phil Ebiner makes $100,000 per year selling his courses on Udemy. Felicia Ricci has earned $11,000 selling her music course through Udemy. Angela Fehr made $12,000 from her first course on she sold on Teachable. If starting a blog isn’t for you, then consider making money on YouTube by setting up your own YouTube channel. On YouTube, you can earn money each time a person views ads on one of your videos. You just need to become a YouTube partner. Anyone can start a YouTube channel – but you will need to create a Google account if you don’t already have one. Once you have a Google account, you can go to YouTube.com, sign in, and create your channel. While you can easily create a channel and start uploading videos – you won’t be able to make money from them from the outset. In the past, anyone, whether they had ten channel views or a million channel views, could become a YouTube Partner and earn commission through Google AdSense. But, since April 2017, you need to have at least 10,000 total channel views to run ads on your videos. So, you’ll need to get your views up if you want to make money from your channel. It’s really up to you what types of videos you decide to publish. You could create tutorials, educational content, travel videos, or even just film your day, as many daily vloggers do. It’s best to pick one theme though so that subscribers know what to expect from your channel. This is one of those residual income ideas that requires a lot of work up front – you’ll need to have a good catalog of videos posted to make a real profit – but it can be incredibly profitable. YouTube has a really handy resource called the Creators Academy that offers tips, advice, and information on creating videos and building your channel. Check out this section, which offers case studies on successful YouTubers. Also, Google’s own guide on earning money with YouTube titled “How to earn money from your videos” is a great place to start for a beginner. How much you make as a YouTube partner depends on how many views your videos get. The more views you have, the more money you earn. YouTubers get paid a certain amount per thousand views – but the company is pretty quiet when it comes to exactly how much its video-makers earn. There are tons of estimations online – with people stating that YouTubers get paid anywhere from $0.25 to $7 per 1,000 views. Since YouTube doesn’t really disclose how much it pays and the fact that there are a number of different factors that will affect how much you earn, such as how much each advertiser is paying to place their ads, it’s hard to say exactly what you’ll make with YouTube. However, there are tons of success stories out there – and many people make a full-time income off their channel. Just check out this Forbes article on the wealthiest YouTubers. In the article, Forbes states that these twelve YouTubers have earned $70.5 million in twelve months. Of course, these are the most successful video-makers on YouTube, and not everyone is going to see that level of success or that high an income from the platform. But, it shows you that YouTube is a platform with huge earning potential. Social Blade has a handy tool that allows you to calculate potential earnings – you can check it out here. It’s not an exact figure, however, so keep that in mind. It just gives you a bit of an indication. We all know that having a savings account is important. But, most of them offer little interest, making the thought of setting one up less than appealing. Thanks to online banks, however, there are now a plethora of savings accounts out there that offer much better interest rates to their clients. This is an easy way to earn money residually – and it’s less risky than traditional investing. All you need to do is open up one of these accounts, deposit some money, and then sit back while it earns interest. This is such an easy, safe way to make money passively. If you’re not into investing, then this is a good alternative. Plus, if you’re thinking about investing later, then this is a good place to hold some money while you’re looking for investment opportunities. You’ll find that most high-yield savings accounts are available through online banks, although there are some available with brick and mortar banks. How much you earn depends on the interest rate you get, and how much money you put into your savings account. FNBO has a handy calculator that gives examples of what you can earn. According to this calculator, if you were to deposit the minimum $5,000, then you’d get $65 in the first year of savings. According to research by the AAA Foundation for Traffic Safety, Americans spend 293 hours driving each year. So wouldn’t it be great if you could make some money from all of this time you spend in the car? If you are willing to have advertisements placed on your car, then you could earn money for something that you already do – driving. This is a really easy way to make money passively. There are many companies that will pay you to advertise on your car. What’s great about these companies is that they wrap your car in ads for you and all you have to do is drive your car as you normally would. It requires very little effort on your part, and you get paid for something that you usually do anyway. Wrapify: This company is one of the best. FreeCarMedia: This is another good company. You have to install the small ads yourself, but this is easy to do. However, for bigger ads, a specialist will install it for you. We also have a review of FreeCarMedia that you should check out here. How much you’ll make from advertising on your car depends on quite a few factors. Location plays a big part. For example, with Wrapify, you’ll earn more if you do most of your driving in a highly populated city than someone who lives in a quiet suburb would. According to Wrapify, a person in San Diego driving 25 miles a day, in a fully wrapped car, could make $300 a month. Many drivers report earning $450 a month. With FreeCarMedia, just one small ad placed on your car could earn you $50 per month. And, if your car is fully wrapped, you’ll earn $400 per month. While starting your own blog can be incredibly profitable, it takes a lot of time to build an audience and start generating a profit. That’s why buying an existing website can be a good idea. What’s great about these websites is that they’re already earning a consistent passive income. There’s a website called Flippa that specializes in buying and selling websites. It’s an online marketplace where you can purchase existing websites. You can find a huge selection of websites on there, spanning a multitude of niches, from fashion to careers. Handily enough, many of the listings include information on how much income the site generates each month. As we mentioned above in the blogging section, having your own website can be hugely profitable. At the time of writing, many of the listings on Flippa state that they bring in $1,000 to $4,000 per month. Take a look at Flippa to get a better idea of how much money you could make with a website. As we mentioned above, selling products you’ve designed, like t-shirts, phone cases, and mugs can be profitable. But, what if you’re not creatively inclined? Aside from custom designed products, like t-shirts, there are plenty of other things to sell online, from DVDs to jewelry. Selling products online can be profitable, but even if you have good products and a website, you still need to try to drive people to your website and convince them to buy. That’s why selling through Amazon.com is such a great idea. Amazon has a program called Fulfillment by Amazon (FBA) that makes making money with Amazon a viable option for smaller guys like us. You get a product you want to sell, deliver it to an Amazon fulfillment center and Amazon will handle everything else for you, from the shipping to customer service. It makes selling stuff online so much easier. And, since Amazon is such a trusted retailer, you’re probably more likely to get sales on there than you would be on your own merchant website. First, you’ll need to create an Amazon sellers account and then add FBA to your account. After you’ve done that, you’ll need to create listings for the products that you plan to sell. You can add your products to the Amazon catalog one at a time or in bulk, whichever you prefer. Or you can integrate your inventory-management software with Amazon’s API. Finding products to sell can be tough when you’re first starting out, but you’ll learn what sells and what doesn’t as you go along. In order to make a good profit, you want to make sure that you get your inventory at a bargain price. You could purchase items wholesale, check out the clearance rack at your local drugstore, or look for bargains on eBay. The next step is to send what you want to sell to Amazon – it offers many seller tools to help you through the process. Once your products get to one of Amazon’s fulfillment centers, customers are able to order them. If someone purchases one of your products, Amazon will handle the order and ship it to the customer. And, it gives Prime members fast, free shipping – another customer incentive that can increase sales. Amazon also handles customer service, so it will take care of customer inquiries, refunds, and returns. This isn’t as passive as some of the other items on this list – but once, you’ve sent your stuff to Amazon, you don’t have to do anything else. You earn your money passively from there on out. If you sell the right products, then you could earn a good side or even fulltime income as an FBA seller. Of course, how much you will make depends on your profit margins. As you can see from this Reddit post, this post and this one, many sellers make hundreds or even thousands of dollars selling products on Amazon each month. Amazon charges fulfillment fees, which you can learn more about here. So make sure that you keep those in mind when pricing your products. This is another really simple way to make a little money passively. Many stores, brands, restaurants and other retailers and service providers want to keep their customers happy, and one of the most common ways they do this is through rewards/loyalty programs. Usually, these programs give you rewards, like discounts, cashback in the form of store credit and coupons. We have an in-depth post on the best rewards programs. It includes 61 stores, brands, restaurants and other retailers that offer loyalty programs to customers, so you should definitely check that out. This opportunity isn’t like selling an app, becoming an FBA seller or selling courses – it won’t make you a huge profit. But, it does give you a way to get a little extra spending money passively. Each store/restaurant/brand offers its own rewards, so how much you make depends on the particular program you’re part of. For example, Petco Pals Rewards offers 5% back on purchases, whereas CVS ExtraCare, offers 2% back. If you’re musically inclined, then you might want to start selling your music through stock websites. As with stock photos, you can license and earn a royalty off your music. There are so many people out there looking for music they can add to their videos – for example, a person might need some background music to add to their YouTube video. And, you could provide that music. This requires a little effort on your part at first, but once your music is up for sale, you can sit back and wait for people to buy it. You can keep making money over and over again from the same track – this is a great way to earn a residual income. You could set up your own website to market and sell your music, but this can be more time-consuming and it’s more difficult to get your tracks in front of paying customers. That’s why signing up to a stock music website is such a good idea. These websites already get a lot of traffic, so it’s easier to get your music in front of potential buyers. This is another residual income opportunity with a good income potential. and how much commission you earn. And with Productiontrax, you get 65% commission. Some people make hundreds per month, like those in this Reddit post and this one. And some musicians, like those featured in this article from The Guardian, make $30,000 to $40,000 per year. So, selling your music can be a really good residual income stream. Selling your own custom designed products, like t-shirts is great, as is selling products as an FBA seller. But if you’re looking for an, even more, hands-off way to earn money residually, then consider selling other people’s products, also known as affiliate products. We mentioned affiliate marketing in the blog section above, as including affiliate links in your blog posts is a great way to monetize your website. But, we’re going to go into a little more detail about it here. After all, blogging is not the only way to do affiliate marketing. As an affiliate marketer, you get a link for the product you plan to sell. This is your affiliate ID. Then, when a person clicks your link and buys the product, you earn a commission. This can be as little as 1% or as high as 75% or more. Landing pages – essentially a website with a static sales page. The first step to becoming an affiliate marketer is to find products to promote. The easiest way to do that is by joining an affiliate network/program. These networks bring together companies looking for affiliates to promote their products, with people looking for affiliate marketing opportunities. Also, a lot of companies offer affiliate marketing opportunities through their websites. Web hosting provider Bluehost allows you to sign up as an affiliate directly through its website. So, think about the companies that you’d be interested in partnering with, and do a quick search online to see if they have an affiliate program. For example, you could type in “Sephora affiliate program” or “Sephora affiliate” if you were interested in partnering with the store. As with most residual income businesses, it’s hard to give an exact figure for how much you will earn. It’s not like with a linear income where you trade x amount of time for x amount of dollars. You can earn anywhere from as little as $5 a month to more than $100,000 per month as an affiliate marketer. This is another residual money making opportunity that can be very profitable. If you want to make a lot of money with affiliate marketing, then you do have to put in a lot of work at the start. You have to get your links out there in front of as many people as possible. Once your links are out there, however, they keep making you money residually. This is a great small business idea that anyone with a little startup capital can do. It’s a low maintenance business that requires little effort on your part. The vending machine just needs to be restocked every now and then – but other than that, you can sit back and earn money passively. The first step is to purchase a vending machine. You can either purchase one yourself, or you could buy an existing vending machine business or buy a franchise if you want something that’s already established. If you do want to buy an existing business, make sure that you find out why the owner is selling. If you’re going to start a new business, you’ll need to purchase a vending machine and source locations yourself. Make sure that you do your research. With vending machines, location is key. Having one in a high traffic area, or in a place where there’s a high demand for snacks and beverages, like schools, malls, and airports, will be more profitable than one in a quiet area with little demand. You can start out with just one or a few vending machines, and then expand later. If you’re short on funds, then you could consider buying a used vending machine. Check out UsedVending.com, eBay or Amazon.com. Vending World also specializes in refurbished machines, so that’s another place to check out. 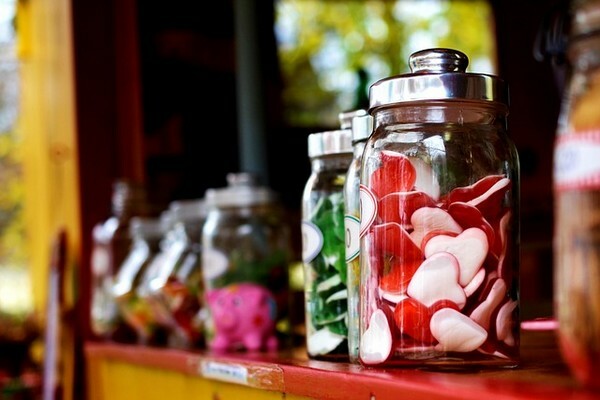 You’ll have to also decide on what types of food you want to offer, like candy, sandwiches, hot foods or health foods. If you want to make owning a vending machine business more passive, then you will need to hire someone to stock the machines for you. and what your profit margins are. And, you need to keep in mind that you will have to compensate the property owner for having the machines installed on their premises – after all, you’ll be using their electricity. Generally, you’ll have to pay them a commission of your sales – this is usually between 10% and 20%. This article from Vending World offers more information on owning a vending machine, including profits. If you already have a business, but it’s taking up a lot of your time, then you might want to consider outsourcing. It will turn your existing business into a passive income business. Having a business can be incredibly profitable. But the day to day running of it can eat up your time, making it anything but passive. That’s why it can be a good idea to outsource as much as you can. You can hire people to handle your emails, phone calls and the day to day running of your business and then simply sit back and enjoy the profits you make or focus your new found time on other residual business ideas. If you don’t already have a business, but you’re considering starting one, then you might want to consider outsourcing a lot of the work too. This one does require effort upfront, as well as startup capital, especially if you don’t already have an existing business. And you’ll need enough money to pay the people you outsource your work to, but the profit you make can be high. If you don’t have an existing business, then you’ll need to start one. Starting a business doesn’t cost as much as you would think. Check out Chris Guillebeau’s book $100 Startup. He talks about how people can build a business for as little as $100. For business ideas, check out our post on 20 Businesses You Can Start for Less than $100 from Your Kitchen Table and this post from entrepreneur.com on 101 Businesses You Can Start With Less Than $100. Once your business is set up, you can start outsourcing. If you already have your business, then you just need to start outsourcing work. By hiring others to do work for you, you turn your existing business into a passive business. How much you earn will depend on what type of business you run, and a variety of other factors. But, many people have made $1000’s off businesses that they started for $100 or less. If you want the profits associated with running a successful business, but none of the work or the effort of outsourcing, then you might want to consider becoming a silent partner in a business. A silent partner is a person whose only role is to invest money in the business. When you’re a silent partner, you aren’t involved in the business’s daily operations and don’t generally have to participate in management meetings either. If you have the startup capital to invest, then you can become a partner in a business, if they are looking to bring in a silent partner of course. Remember that, as with any situation where you are investing your money, being a silent partner isn’t without risk. So, make sure that you do your research before you invest. As a silent partner, you earn a return on the money that you invest in the business. So, how much you earn will depend on how much the business makes, and what your shares in it are. Imagine if each and every time you bought something, you could get a percentage of what you spent back? Well, with certain credit cards you can. From American Express to Chase, there are many credit cards out there that give you cashback on your purchases. Some of these credit cards give you cashback on all purchases. But, others only give you cashback at particular places, like the grocery store, department stores or gas stations. So make sure that you know exactly what the card you sign up for offers. Okay, so this opportunity differs slightly to the others, but it’s still a passive income option. For most of the residual earning opportunities on this list, you put in a little work or money at the start, and then you sit back and continue to earn money after you’ve stopped working on the project. With this opportunity, however, you aren’t putting in work at the start and earning money later. In fact, you aren’t putting in any work at all to earn money. Instead, you earn money in a totally passive way. You shop and get money back! To get started, you’ll need to apply and get approved for a credit card that offers cashback. It really depends on the credit card you have. Generally, these cards offer 1 to 6% cashback. And, how much you spend is also a factor. 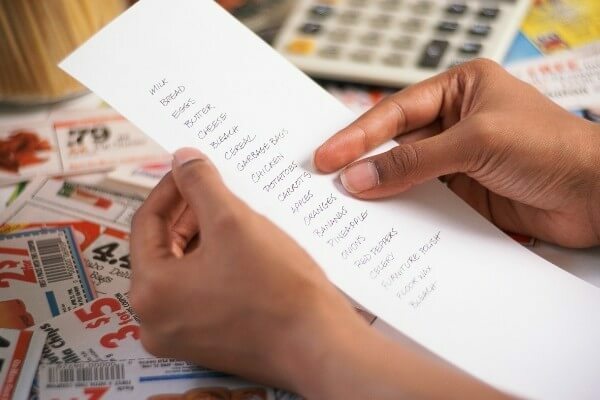 According to a recent report released by the USDA, the suggested spending on groceries per person, per month is $200 to $300. So, let’s say you have a two-person household, and you spend $600 per month on groceries. If you purchased your groceries using a credit card that gave you 5% cashback, then you’d get $30 back. While 1 to 6% doesn’t seem like a lot, if you earn this on every purchase you make, so gas, clothing, groceries, etc., then it really adds up, and you could save hundreds of dollars each year. As you can see, there are plenty of ways to make extra money (or even way more than what your current 9-5 job earns you) residually or passively. Some of the items on the list require more work than others, and certain ones require more money. That’s the thing with residual income opportunities – you need to either invest time or money upfront. Some of these business ideas are entirely residual, like selling books for example, whereas others, like renting out a room in your home are a little more hands on. But, they all have one thing in common – you don’t have to put in x amount of time to get x amount of money, as you do with any type of linear income job. So, consider trying out one of these ideas, and start getting more of your time, while increasing your bank balance. It’s a great way to save money for a vacation, add to your retirement fund, or even to replace your full-time income, eventually. Thanks Mohit, I’m glad you like the post!